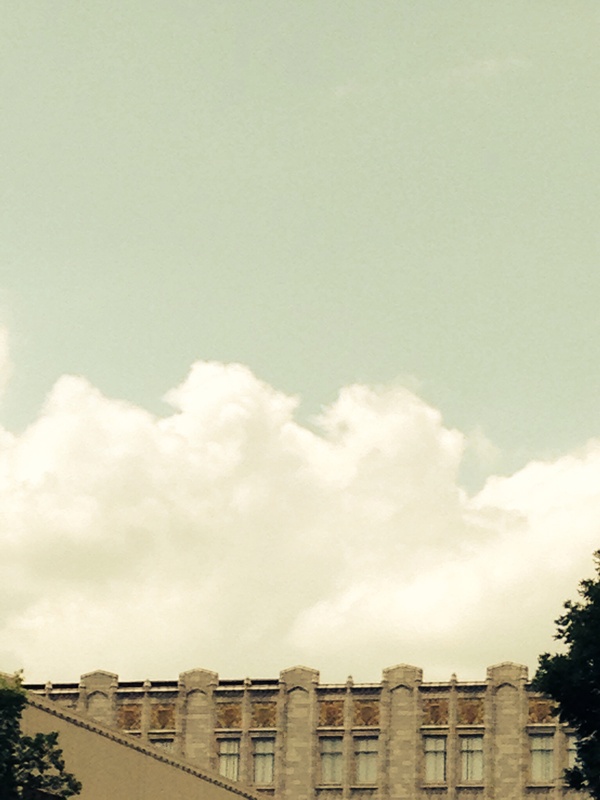 Truly the Nebraska Capitol is one of my very favorite places across the whole state. 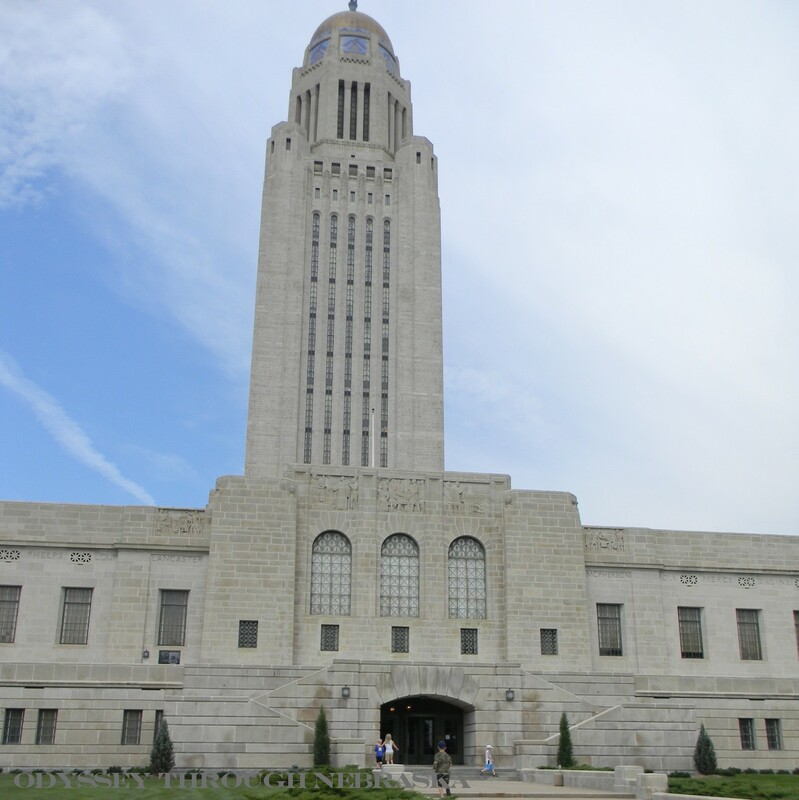 Why it has taken me a year to feature Nebraska’s most recognizable building on this blog I am not sure. Maybe this is because writing this post is STILL daunting to me! 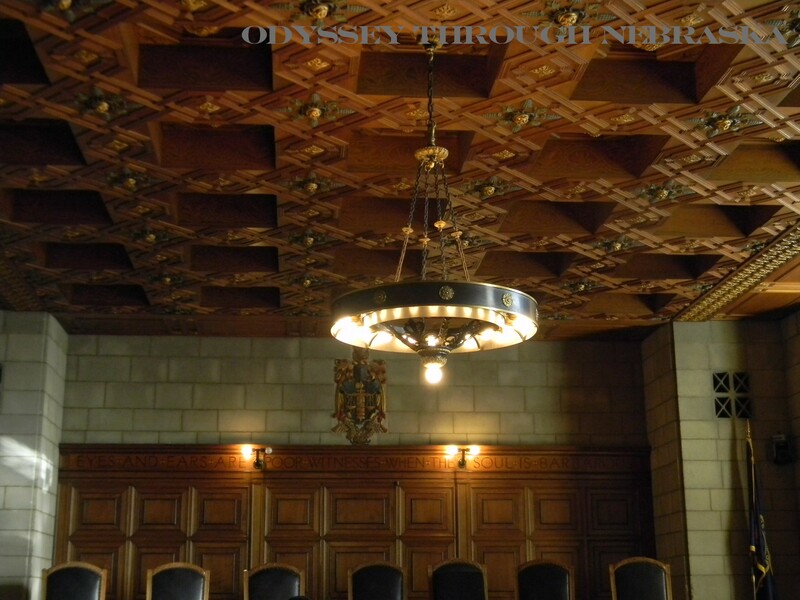 How can you narrow down a building that contains so much architectural beauty, cultural significance and Nebraska symbolism. I think this is why this post has never been written. Today, in my own feeble way, I will attempt to give you a”quick” tour of this Nebraska Masterpiece. 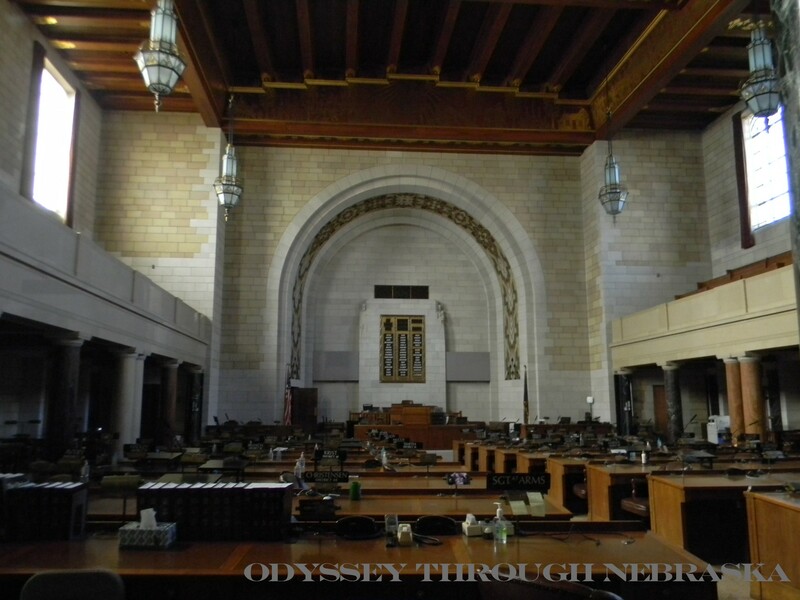 Nebraska’s Capitol building is filled with murals, mosaics, tapestries and distinguishing architectural details. Because I am pretty certain that no one will take the time to read 32 pages of one blog post, I am setting those details aside. Additionally I plan on writing a separate post on my kids’ favorite part of the building: the tippy top. To ride to the “14th” floor, one must climb into a rather small, older elevator. By the way, in case you were wondering, despite its appearance to the contrary, you CAN in fact fit a double stroller inside to ride up. We have done it successfully several times! 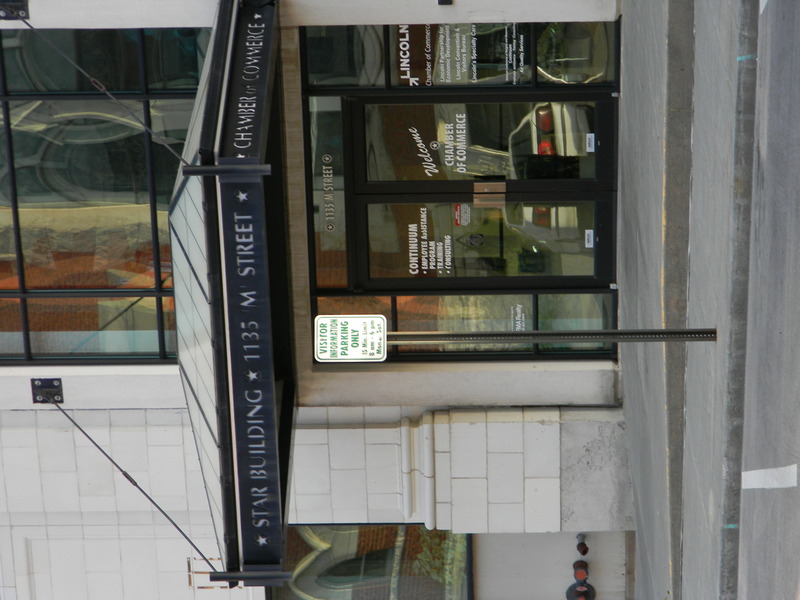 Back to the purpose of today’s blog … Just like our national government, our Nebraska state government has three branches. As long as the judges and senators are not work, both of these sections are part of the daily tours that run hourly (except at noon.) Now we also happen to have an executive area where the governor and his staff are busily at work. Since they are a bit more involved in the daily aspects of government, this section is usually closed to the public. 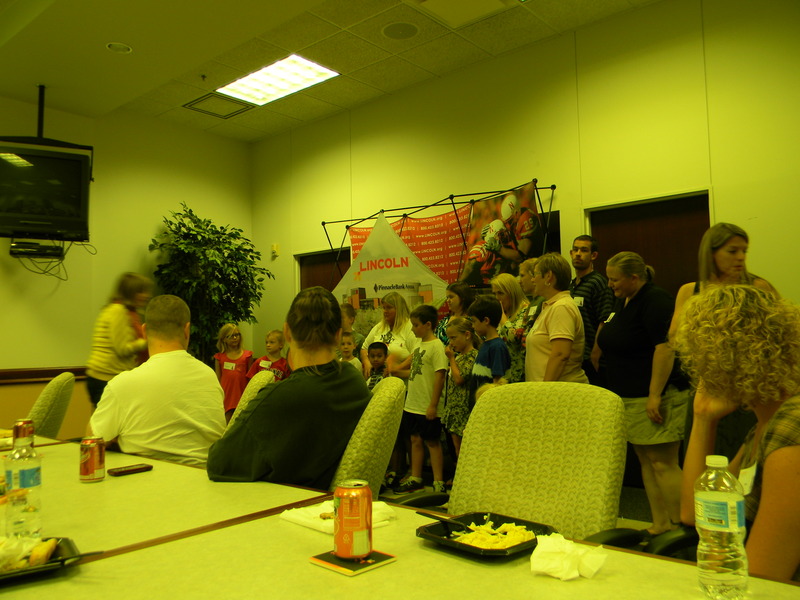 As we once had a special family event take place inside the Capitol, I do have a picture of the executive press room. Cropped and from my scrapbook, really you only get a good idea of the official press conference desk. These are the main sections that exist inside of the capitol. Of course, the basement is filled with legislative offices and the cafeteria and a gift shop. Statues of famous Nebraskans line the rotunda, but I think that is another post as well. Guess you will be hearing about the Nebraska Capitol for a long time to come! Another favorite area – the outdoor mezzanine. By walking around the outdoor platform, one can learn the names of all of the Nebraska counties. One could also learns the basics of the history of government. The relief carvings above the walkway are not necessarily in chronological order, so I do recommend getting the explanatory pamphlet from inside the capitol. By the way, I wrote a more detailed article on walking around the Capitol with children for the May/June/July issue of the Lincoln Kids Newspaper. You can pick up a copy from many area Lincoln places, or you can look online. 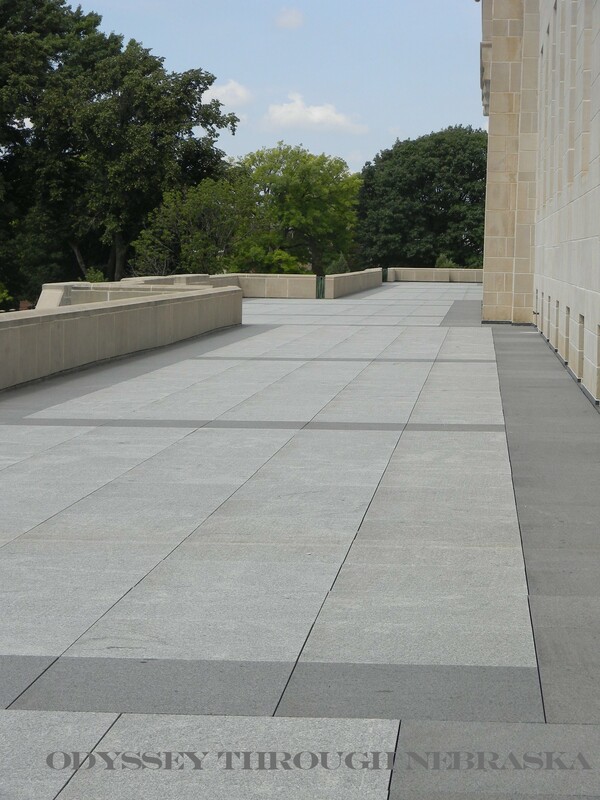 The Capitol Website has a wealth of information on all of the history and interesting facts of the building. 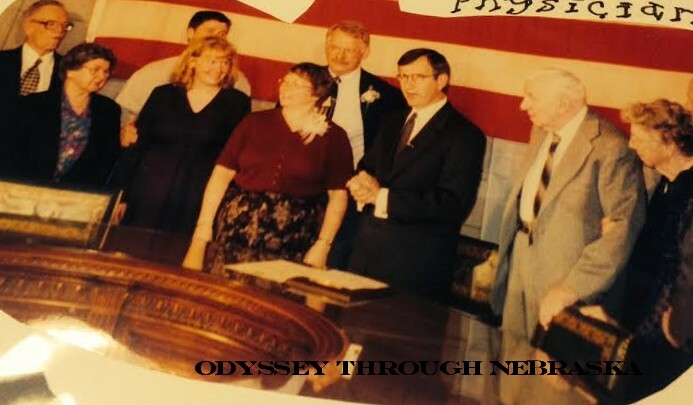 NET Public Television has also produced an excellent documentary on the Nebraska Capitol. 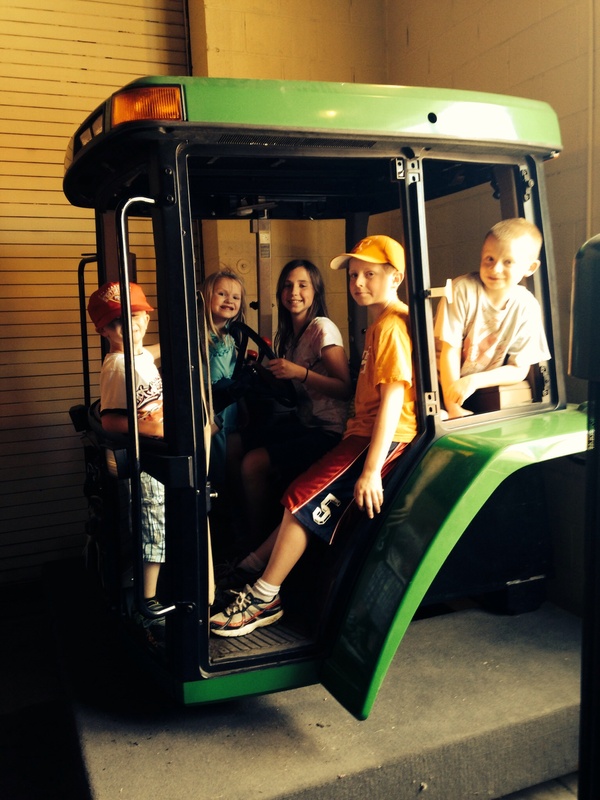 Our family was rivoted – okay, I definitely was, but my husband and kids also enjoyed the show! Would you look at that? I used the same word to describe the capitol that they did! If you have never been to the Nebraska Capitol, I HIGHLY recommend you visit. The Capitol Website also has downloadable building, Abraham Lincoln and civics scavenger hunts. Completing these will help your older kids be engaged in the experience. As for your younger kids, have them go on a shape and color hunt as you walk through. The Capitol is filled with all sorts of possibilities! 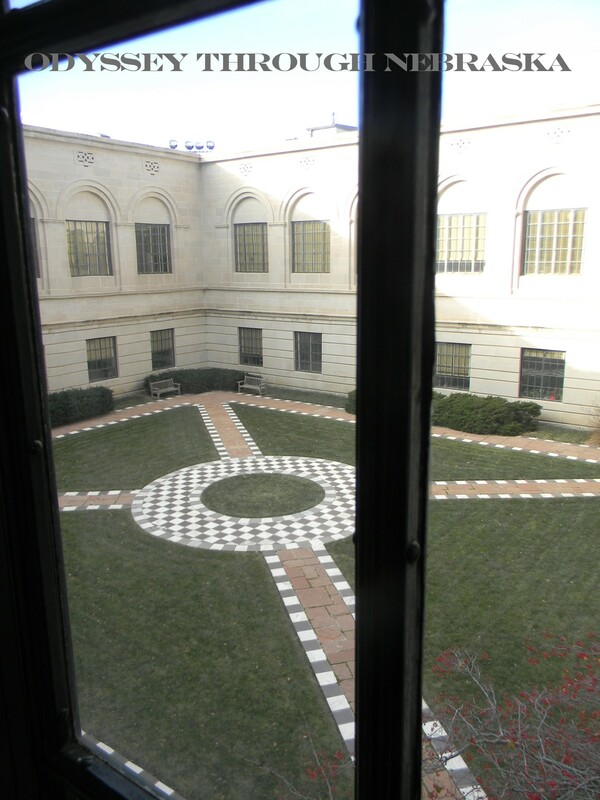 In fact, below is a picture of one of the courtyard areas I have yet to explore. Maybe someday I will figure out how to do that! One more important item to note: The Nebraska Capitol Building can be found on both the “Lincoln: Be a Tourist in Your Own Hometown” passport and the Nebraska Passport. When you go visit, make sure to get a stamp. 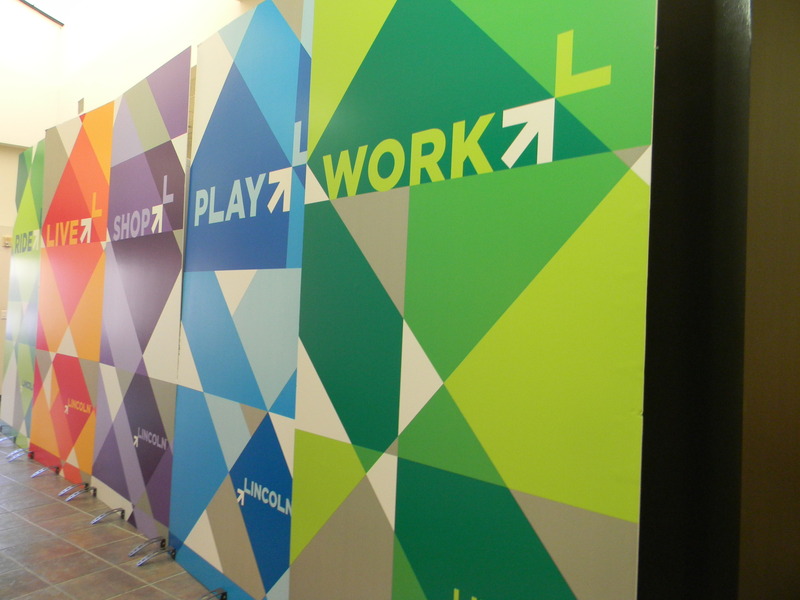 The programs run through the end of August and September respectively. 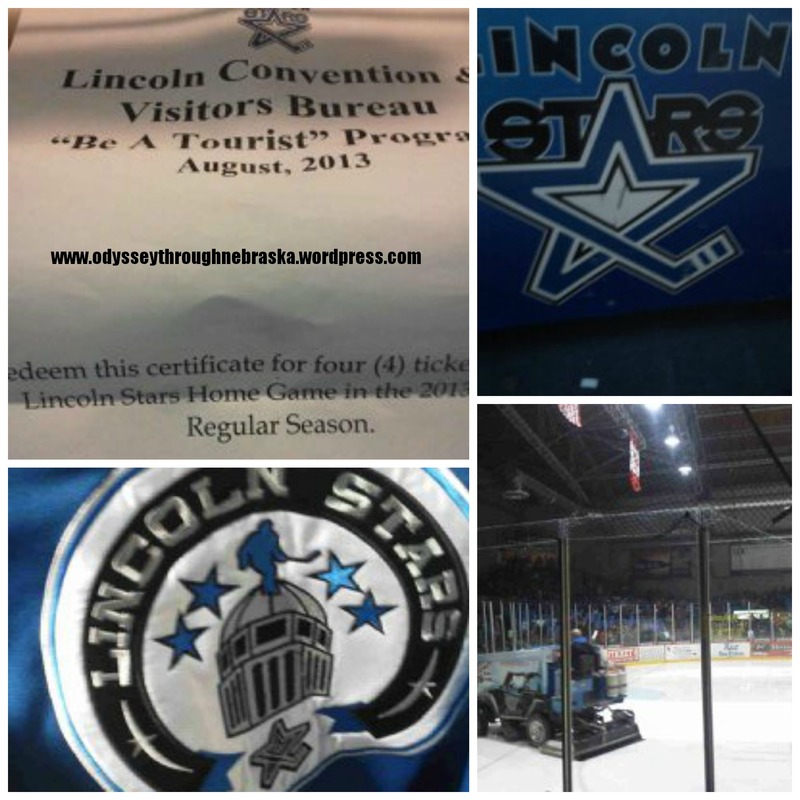 Hockey in Nebraska: Go, Lincoln Stars! Did you guess where we were? We had not taken our kids to any hockey games yet. Next time, I think I will check out some children’s non-fiction hockey picture books. I like knowing what is going on, and I have not watched enough games to understand the penalties and strategies. Although I could always tell when they scored and definitely know that the Stars won! 2) Bring ear plugs. While the music adds so much to the atmosphere, your ears will be ringing by the end. We enjoyed getting to go out with just our older boys. They enjoyed their first hockey experience, although one admitted he definitely could have done without the fighting and some of the slightly more obnoxious cheers. But he definitely liked hockey itself. I think he will have a greater appreciation for the Olympics hockey games now that he has attended in person. Not into being a spectator and would rather enjoy being active? 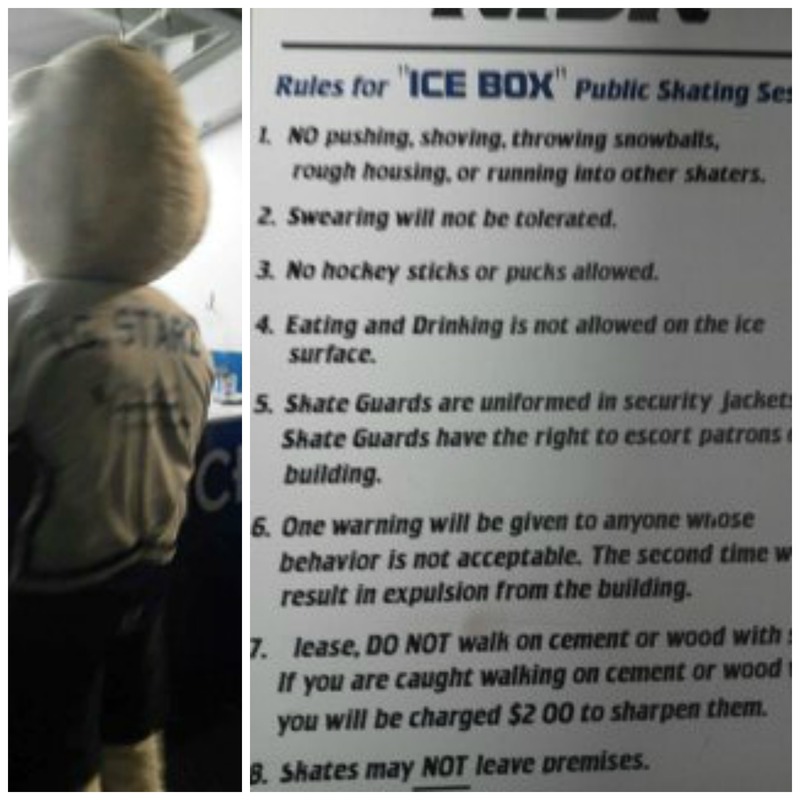 The Ice Box has public skating sessions most week-ends. Eventually a bigger ice venue will be coming to Lincoln. Until then, the Stars have made their home at their rink located on the former Nebraska State Fair Park. A big thank you to the Lincoln Stars for providing the tickets and to the Lincoln Convention and Visitor’s Bureau for providing such great tourism incentives. 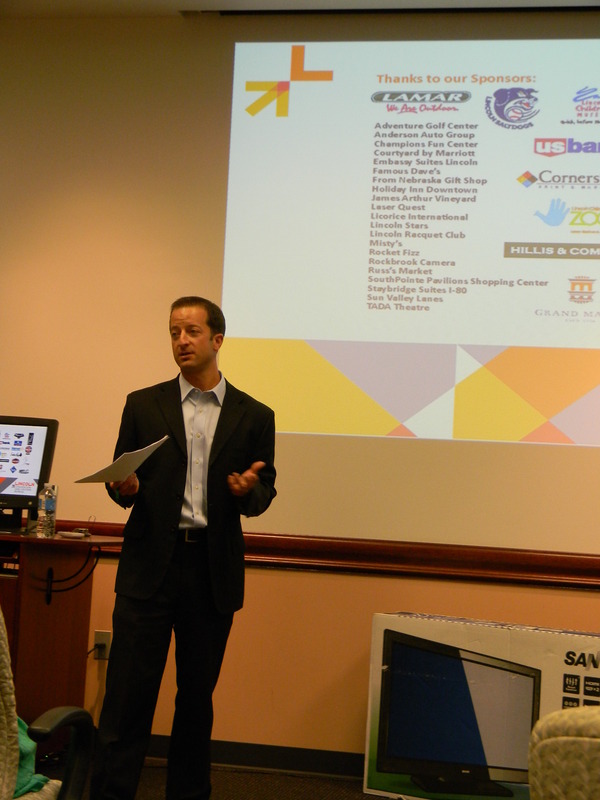 We are excited to participate in the “Be a Tourist in Your Own Hometown” program again this summer! My 2nd son! We received the call on vacation that Zechariah was a winner for the 2nd time. Several years ago, he actually happened to win the grand “gold” prize for the kids division. 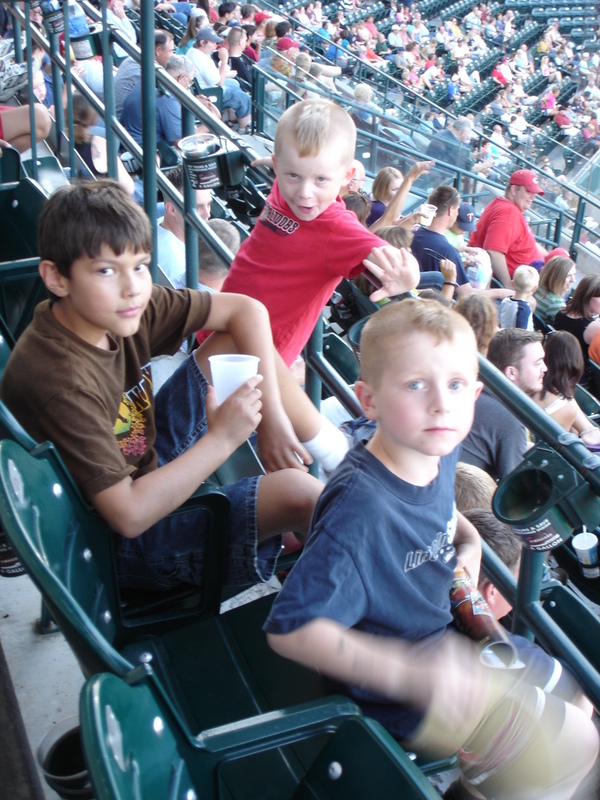 That included a box at the Salt Dogs as well as him getting to throw out the first pitch at a game. So to find out what he won this year, Z and I went to a dinner at the Lincoln Chamber of Commerce, along with all of the other winners. We were both rather excited about the evening and the Fazolis dinner that we would get to enjoy. Z especially liked the breadsticks and the fact that I let him have a Mountain Dew at suppertime (that RARELY happens). The Lincoln Convention and Visitor’s Bureau Executive Director, Jeff Maul, explained the program and then enjoyed “fist bumping” all of the winners. 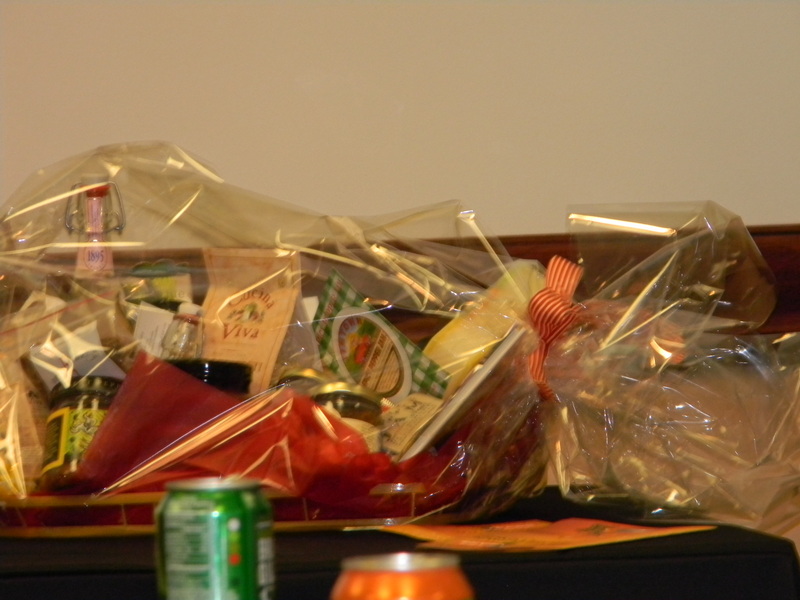 One of the adult gold prizes – a huge basket from Hillis. Plus I think that winner also got a gas gift card -something we all can appreciate these days! 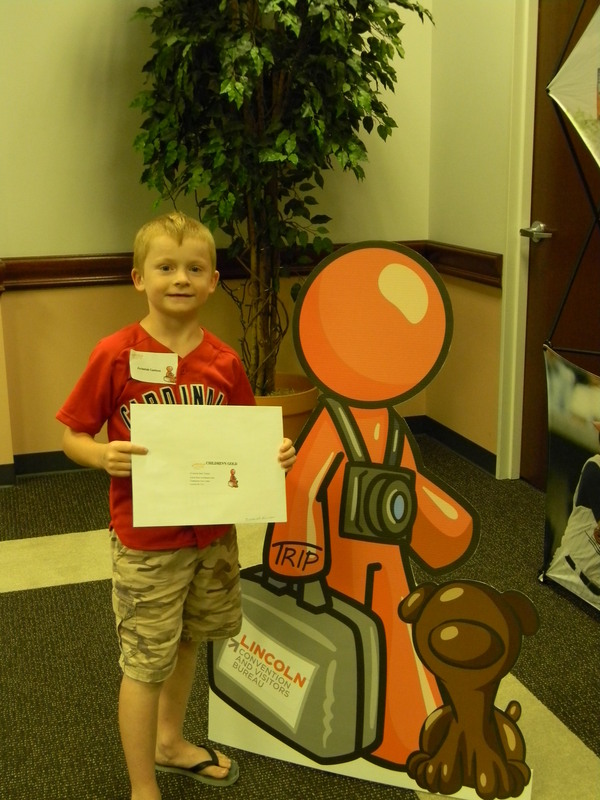 I was impressed again with the Lincoln “Be a Tourist in your own Hometown” program. We will definitely continue to participate and hope others will join us. Maybe next year we will try for the grand prize … Thanks to Lincoln Convention and Visitor’s Bureau staff and especially a BIG thank you to Tracie Simpson who coordinates this program. She has done a great job with it! 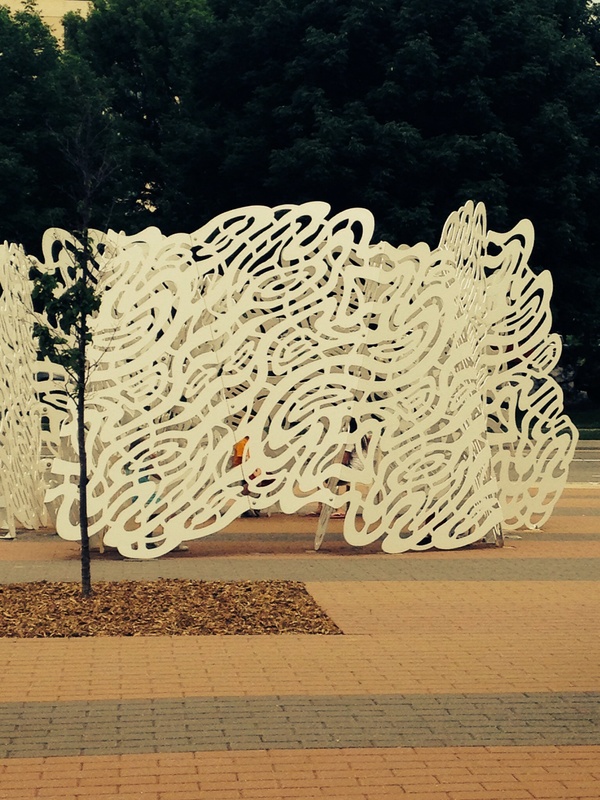 Does being around people too long make you claustrophobic? Would you love to see prairie instead of buildings? Would 668 acres of land only sparsely filled with buildings do? Long to go for hike? How about 8 miles of hiking trails? You will find all of this and more at Lincoln’s Pioneer’s Park. Group Tours No reservations needed, although you may want to call first if you are hoping for a specific talk to make sure there is adequate staff. Museum Manners Most exhibits and animals on display are for touching – occasionally certain animals may need space. Always check when in doubt. Only real “rule” to follow is no running inside – could scare the animals that live there. 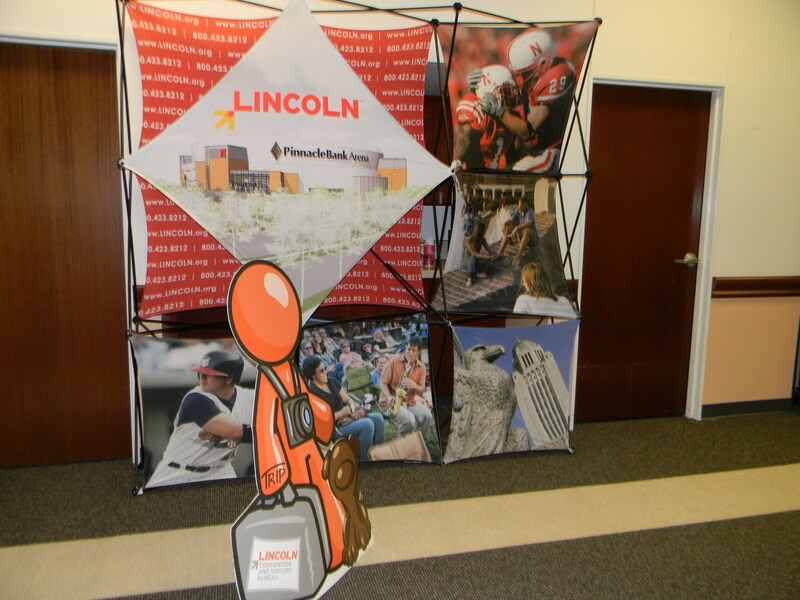 The word “pathfinder” is a synonym for “pioneer,” and this Lincoln treasure allows you to do just that. If you have time to explore, you never know what you will discover. So, grab your walking shoes and go! Both of the two interpretive nature buildings are full of many items and animals to touch. They have nature books to browse through, puzzles to do, animal skins to feel and even various live reptiles and birds to interact with. We have been many times and still have never managed to see everything. (Or even half of what they have available at this park.) If you live close by, you could make many quick trips to explore. But if you are driving from a distance, I would allow several hours to even begin to appreciate all that is available. This island area near one of the center buildings is full of wildlife. My kids love to cross the bridge and see the deer as well as many other animals that call this park home. This “Smoke Signals” statue is another favorite destination of my kids. Want to know more about how Pioneer’s Park came to be? Visit: Pioneer Park’s History. This post explain just a bit of what is available – I didn’t even mention the pillars area or the amphitheater or the ponds or the buffalo or … Guess you will have to head there yourself to find out more!